Travelers and tourists who have ever visited Las Vegas, Nevada, no doubt have been dazzled by the city’s bright lights and flashy architecture. The Vegas Strip, with its many casinos and resort hotels, features an intense and original presentation of electrified color, with many one-of-a-kind signs and displays to attract and entice the crowds of sightseers and vacationers who flood “Glitter Gulch.” Most of Las Vegas’ most iconic displays were designed, manufactured, and installed by YESCO, a 96 year-old, family-owned company. The list of hotels and casinos that feature YESCO signage in Las Vegas includes: the Boulder Club, Golden Nugget, Eldorado, Mint, Silver Slipper, Stardust, Venetian, the Wynn Las Vegas, Harrah’s, the Sahara, Caesar’s Palace, and the Rio– not to mention Vegas Vic, a 75-foot, six-ton, neon cowboy that was erected on the exterior of the Pioneer Club in 1951, and has since become the city’s welcoming trademark. Young tells the story of how his great grandfather, Thomas, began a small advertising and commercial sign painting business in Ogden, Utah, which, today, has grown to become one of the nation’s recognized leaders in the fields of sign design, sign fabrication, sign installation, and ongoing sign service and maintenance. “My great grandfather was an artist,” Young says. “He was an immigrant from England who came over to the United States with very little money. He borrowed $300 from his father, who worked in the coalmines in England, to get the business off the ground. In those early years, it was mainly hand-painted signs, graphic lettering, golf-leaf window lettering, and coffin plates. Over the course of the last half century, YESCO has continued to dominate the market in large, custom-made electric signs. The company has expanded its portfolio to include some of the country’s biggest corporations for which it fabricates both one-of-a-kind displays, such as Starbuck Coffee’s corporate headquarters sign in Seattle, Washington and the NBC Experience “message globe” in New York City, as well as what Young calls “program work” – the replication of many signs for multi-location clients such as the Ford Motor Company, Bank of America, and McDonald’s. YESCO has also designed signs, displays, and cutting edge LCD video systems for theaters, restaurants, stadiums, and sports arenas. 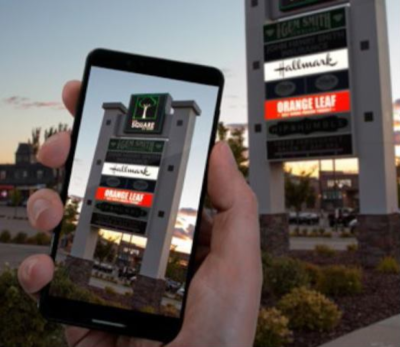 YESCO has also grown over the years through the acquisition of smaller, regional sign companies, and by opening company offices with state-of-the-art manufacturing facilities throughout the western United States. Today, the company has over 1,000 employees working in 47 company locations west of Colorado. 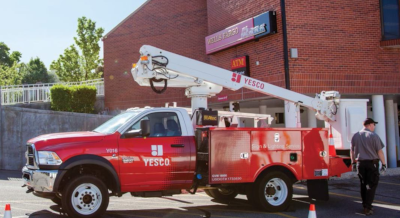 From its humble beginnings in Ogden, Utah to Las Vegas’ Glitter Gulch and beyond, the YESCO brand continues its century-long tradition of advancing the science and design of lighting and sign making by tackling ever larger and more complex projects. At the same time, this iconic American company provides the ongoing maintenance services that keep its customers’ signs and displays on and in excellent working condition. Check out this handpicked feature on AFA Systems Ltd. – Leader in innovative automated packaging systems.